Clad in waterproof sheets and trench-waders: A working party about to start off in the rain. Bringing up supplies under difficulties: transport-wagon(s) reach a point where the road is completely underwater. 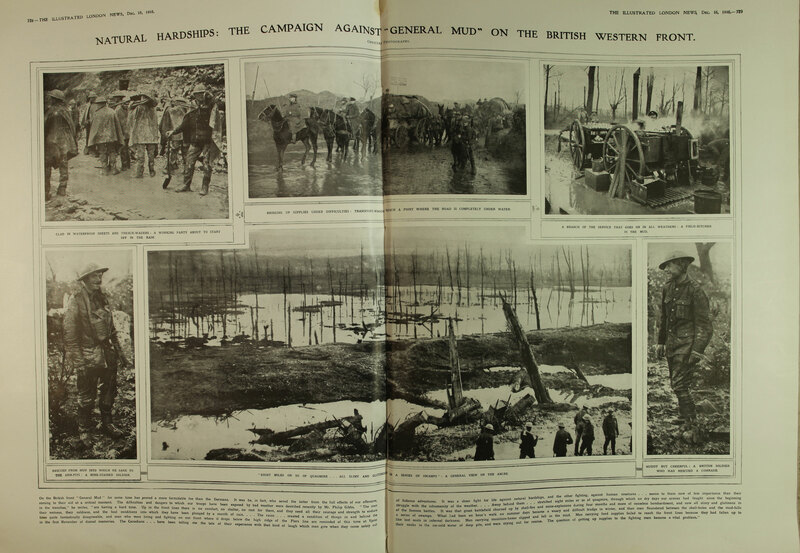 “Eight miles or so of quagmire [boggy ground]…All slimy and glutinous in a series of swamps”: A general view on the Ancre. Muddy but cheerful: A British soldier who had rescued a comrade.